Air fresheners and anti-odour brand Febreze has brought in comedian Paul O'Grady and the London Community Gospel Choir to launch a festive-themed pongy prototype perfume. 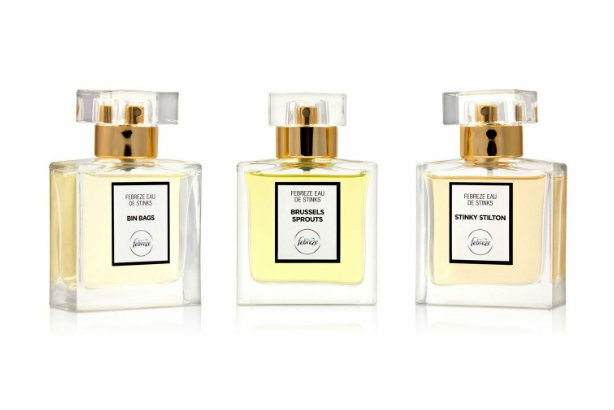 The agency Citizen Relations UK has created La Collection de Stinks, a set of three 30ml bottles of perfumes flavoured with Brussels sprouts, bin bag and stinky Stilton. It has also created the below video featuring O'Grady and the choir, which has already been well received and widely shared on social media. A spokeswoman for the agency said that the sprouts-scented variety "doesn't actually smell that bad", and that while the perfumes have currently only been created as a limited edition and sent to journalists, the brand would consider producing a larger batch if there were sufficient interest. Another unusual concoction dreamed up by a PR firm this year was Parma Violets-flavoured cheese - which was something of an unexpected hit as part of the sweet's 70th anniversary celebrations by RMS PR.